The Cessna Citation Latitude recently joined the NetJets fleet. 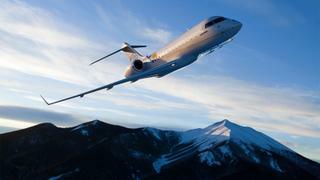 The 6,000 mile range of the Bombardier Global 5000 means you can reach London from New York. The Gulfstream G550 can seat up to 19 passengers or sleep up to eight. Surf Air uses the Swiss-built Pilatus PC-12. New technology is helping bring down the cost of private jet travel and attract new customers into the market. There has never been more choice when it comes to private jets. 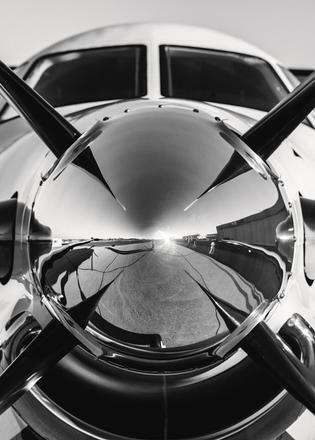 John Arlidge weighs up the costs of private aviation and considers which plane is right for you. Visitors to the Museum of Flight in Seattle in May got a little more than they bargained for. Yes, they sat in the cockpit of the Blackbird that cruised at speeds of more than Mach 3. They admired Concorde, too. But the lucky few also caught a glimpse of, and even toured, the world’s first VVIP Boeing 787 Dreamliner. The 2,400 square foot cabin boasts a master suite with king sized bed, full size shower and walk in wardrobe. There’s a lounge and dining area with couches and a 55in flat screen display, as well as 18 full flat, first class sleeper seats. Those who fly in it will have plenty of time to enjoy the comforts. It can travel non stop for 18hr 30min, giving it a range of almost 10,000 miles, the equivalent of New York to Singapore. The bespoke 787, which is available for charter for up to 40 passengers at a cost of $65,000 an hour, is one of a number of new jets, big and small, that is coming to market and breaking new ground on safety, efficiency and comfort. There has never been more choice in what to buy or how and where to fly. Embraer Executive Jets’ newest business aircraft are the 8-12 seat Legacy 500, which costs up to $22 million, and the 7-9 seat Legacy 450, up to $18 million. 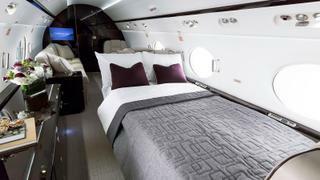 The new planes will, the firm claims, “redefine the essence of the midsize and mid-light executive jet sectors.” “Clean sheet” design means Embraer has introduced new technology and comforts usually available on larger, more expensive aircraft. These include full fly-by-wire systems and a head-up display with an enhanced vision system to increase safety and fuel efficiency for pilots and operators as well as comfort for passengers. High strength alloys and composites save weight, improve performance, drive down operating costs and guarantee a lifespan of 27,500 hours, or more than 50 years, with typical use. They also have a full stand up cabin. The new jets can fly non-stop from San Francisco to Hawaii, New York to Los Angeles, Riyadh to Cannes or Shanghai to Jakarta. The average hourly operation cost of the Legacy 450 is $2,677 and the Legacy 500 $2,857, based on market-standard calculations of aircraft ownership and operation, published by BCA magazine and Conklin & de Decker. 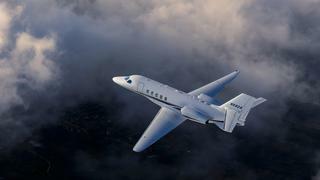 New to the NetJets stable is the Citation Latitude, made by Textron in Wichita, Kansas. It can manage short runways and high altitudes and its lean-burn engines and improved aerodynamics mean it can travel for up to seven hours. It is equipped with Inmarsat’s SwiftBroadband, a satellite-based Wi-Fi system accessible across the globe as well as an in-flight entertainment system manufactured by Gogo and customised by NetJets. A new pressurisation system delivers a class-leading cabin altitude of around 5,000ft. A 50 hours a year share of the jet costs just over $1 million. And, of course, the transocean reliables from Gulfstream, Dassault and Bombardier keep on flying higher and leaner. The $65 million Gulfstream G650 is extremely well liked since no other private jet allows you to fly as fast or as far in such comfort. With a maximum operating speed of Mach 0.925 (611mph), Gulfstream claims that the G650 is the fastest private jet on the market. Its maximum range of more than 8,000 miles means that it can fly non-stop between cities such as London and Buenos Aires, and New York and Dubai. The passenger cabin of the G650 is larger than the older G550, measuring nearly 47ft long, 6ft 5in high and 8ft 6in wide. This allows eight people to fly very comfortably but the jet can take another 10 if needs be. Inside the cabin, passengers can control the temperature, monitor and lights from their smartphone. Even the on board refrigerator has its own IP address, automatically informing airport staff ahead when it is running low on supplies. The average cost per mile is $4,900. 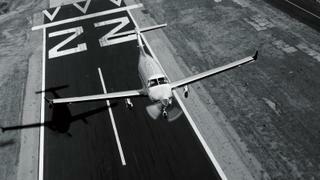 But it is not just new hardware that is increasing choice; the software of private aviation is more sophisticated. 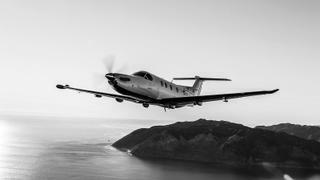 The fractional ownership model that NetJets pioneered is now being extended as firms such as Victor, Stratajet and PrivateFly take a leaf out of Uber’s book and use apps to try to match passengers with jets for bespoke charters or using “empty legs” – when a plane has finished a flight and needs to return to its home base, often without its owner or the person who has chartered it. “We’re continuing to see a shift away from jet ownership to jet charter,” says Clive Jackson, Victor’s founder and CEO. Victor’s primary offering has become “on demand” charter. More than four out of five of the routes its customers flew last year were “one-offs,” covering all but two countries in the world, North Korea and Syria. “Discerning travellers are realising that on-demand charter, in particular, provides greater flexibility in terms of time and choice,” says Jackson. And cost. Because flyers no longer have to go through a broker and the technology enables you to see real-time costs of all the aircraft that are available to charter for that flight – not just a select few – and then book instantly, prices are falling. Victor doesn’t charge for membership – you pay as you fly. New York (Teterboro) to Antigua with Victor costs from £18,500, or £138,500 for London to Cape Town in a Bombardier Global 5000. Cuban and Caribbean sun is a big pull for US fliers. You can expect to pay £7,000 for a charter from Miami to the Bahamas or Havana and back. Empty leg travel can be particularly affordable. A group of eight people can fly from London to Cannes and back for around £7,600, not much more per head than a business class return and much more pleasant. The Victor app lists more than 1,000 returning empty aircraft. “There has been a misconception about the price of private jet travel,” says Carol Cork, sales and marketing director at UK-based PrivateFly. “Thanks to new technology, it’s more accessible now.” Stratajet, the average value of whose app bookings is £5,300, confirms that a remarkable one third of its customers are first-time private jet fliers, often millennials. The 25 to 34-year-old age group “conducts almost a third of all searches, while over two thirds of searches are performed by customers aged 44 or younger, which is a significant shift for what has been a slowly ageing industry”, says Stratajet’s founder, Jonny Nicol. With Surf Air and JetSmarter, you sign up and pay a joining fee and a monthly or annual subscription, rather like a gym membership, that starts at around $5,000 and rises to $50,000. In return, you can get unlimited flights between a handful of popular short haul destinations, for instance, San Francisco to Los Angeles and London to Nice or Geneva, and mid haul destinations, for example, London to New York and London to Dubai, on a first come first served basis. JetSmarter, which has headquarters in Fort Lauderdale in Florida, has just announced the launch of its SharedCharter services. This allow members to create personalised charter flights through the app and then offer the unused seats to other JetSmarter members. Members can be reimbursed in flight credit for up to 100 per cent of their charter costs. VistaJet offers an asset-free hourly subscription that allows its customers access to a fleet of identically branded aircraft. From two aircraft in 2004 to more than 70 today, the service has soared. For its flagship Program membership, renewal hours more than trebled in the first half of 2017 and the number of customers increased by 61 per cent compared to the same period last year. A further 6,000 new hours were sold in the first half of this year alone. The constructive use of formerly empty return legs has allowed VistaJet to abolish aircraft position fees, which have traditionally been a frustrating and unexpected cost for business aviation clients. It also recently introduced a new product to complement its Program and On Demand flying solutions. VistaJet Direct is a new digital membership giving priority access to available one-way (set origin) and empty leg (set origin and destination) flights through its app on mobile and web. Currently pushed to its European Program customers, Direct will be available globally in the autumn.